So, who saw that coming? After weeks of speculation, discussion, prediction, and a generous amount of teeth-gnashing from Democrats and Clinton supporters amid tightening polls, the first presidential debate played out exactly like you would've guessed three months ago. Contrary to what the Trump campaign clearly would've preferred, their candidate went more than a little off-the-handle, falling back on the brand of bluster, bombast, and flat denial of fact. But it didn't serve him so well this time ― so, what was the most humiliating moment of Trump's presidential debate? It came towards the end, well after the result was basically a foregone conclusion. But it nonetheless stuck out as perhaps the biggest, most glaring indignity of the night. Although the debate audience did occasionally react to the candidates now and then with chuckles and some light cheers, that's not how it's supposed to go ― to the contrary, they're meant to stay quiet, so as not to influence the perceptions of viewers at home. And yet, when Trump made perhaps his most preposterous claim of the night ― that not only did he have better judgment than Clinton, he had a better temperament than her, too ― the wall of silence came crumbling down, first with what sounded like an audible gasp, followed by a gush of laughter. For the record, Donald: They're not laughing with you, they're laughing at you. Or, as Hamilton creator Lin-Manuel Miranda observed on Twitter: "When 'I have the right temperament' gets the biggest house laugh, it's not going your way." 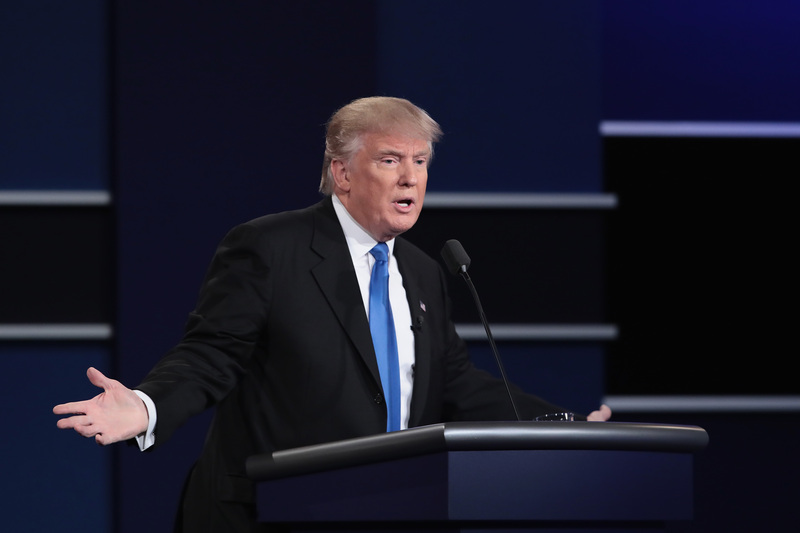 There were countless moments during the debate that Trump's probably smarting over right now, but perhaps no one cut to the heart of his struggles more sharply than that. In simple terms, the perception that he lacks the temperament to be president is one of the biggest reasons he remains an underdog against Clinton, who has deeply bad favorability ratings for a major party nominee. And in classic Trump form, when faced with an area of weakness, he decided to brazenly assert that actually, it was an area of strength! Except he had an entire crowd of people in front of him, and they'd just watched him disprove his own point, over and over again. In the next few days, if Trump mulls whether to actually follow through with the rest of the debate schedule ― remember, he's bailed on a debate before ― you can bet that moments like this one will be looming large on his mind.